Made to Order Broken China Mosaic Long Rectangle State Stepping Stone Garden Sign -Choose your State & Colors Great Gift for Sports Fans! I LOVE old dishes! 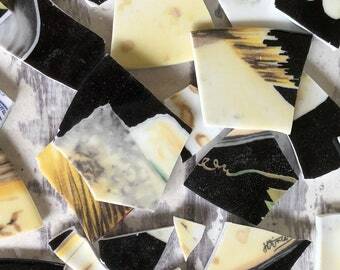 This is how I "gather up the fragments" into one-of-a-kind mosaic works of art. I'm also amused by using bits of old paper, thrift store prints, antique sewing notions and sea-shells. Visit my older establishment - TheClassicButterfly.etsy.com to see my curated shop of vintage treasures. Super transaction - tiles as described, appreciate the quick shipping. Thanks. Vanessa was so easy to work with in re-purposing a broken family heirloom teapot. My sister and I are so happy to be able to keep this memory of our mother alive in a new way. 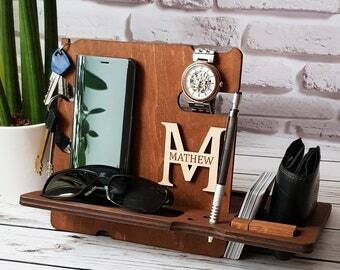 I am using my jewelry box to hold tea! Perfect! 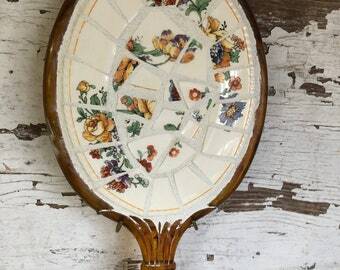 Love how the aging process has brought beauty to these mosaic pieces. They are perfect for my upcoming shabby chic project. Thank you for packaging them so very carefully in layers to make the journey here safely. They are exactly as pictured and described. I am very happy with my purchase. This custom order is coming together. I love making these stepping stones in memorial of loved ones. They make a meaningful gift. 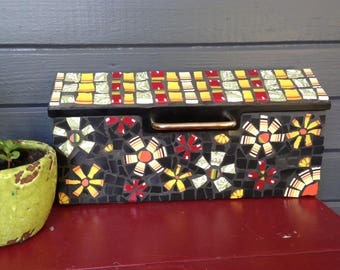 Broken China Mosaic State Square Stepping Stone - Made to Order - Garden Sign - Choose your State and Colors - Great Gift for Sports Fans! Perfect stocking stuffers, I finally got all my mosaic and broken china rings loaded up in the shop and ready for Cyber Monday. If you buy more than one, I refund the shipping overage. One of a kind and super fun. Everyone's favorite little bouquets are now in stock! 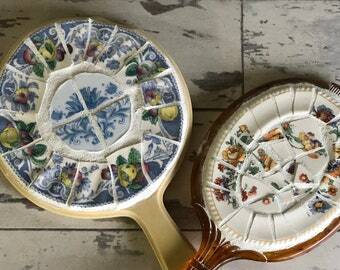 DON'T THROW THAT BROKEN DISH AWAY! I'm genetically wired to love old dishes, I think. They say my Great Grandma went to auctions and bought partial sets of dishes thinking she would find the rest later. I started buying antiques in the fifth grade. 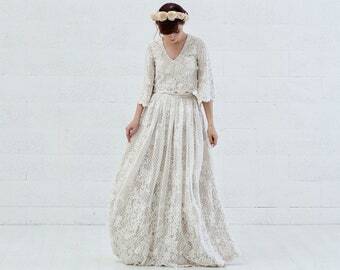 It was no surprise when I became a vintage seller online more than a decade ago. But I was always so sad when an old dish with a full and interesting life was unwanted just because it was chipped or stained. When my wise husband bought me a pair of tile nippers for Mother's Day one year (he knows me SO well!) 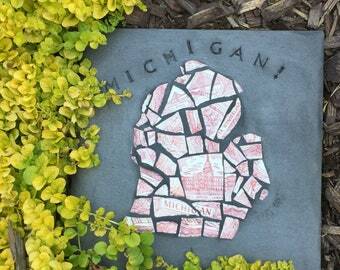 I began my adventure with mosaics made from broken china. 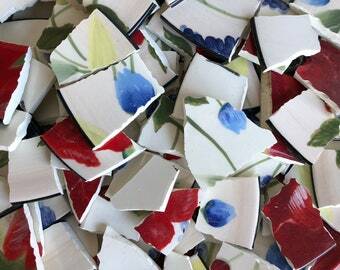 This craft is officially called picassiette, but you probably find it most often by searching for "broken china mosaics." I've always been creative, but no craft had my full attention until I started cutting up plates, cups, saucers and creating new things from the pieces. My mother's gift for quilting informed my use of color and pattern, and my years of studying antiques gives my work a harmony of era. Practical and a bit stubborn, I'm much more challenged by using old surfaces like old furniture, silver trays and old frames as a starting point than a predictable store-bought substrate. That means each piece I make is one of a kind and has a story all its own. After 5 years of practice, I feel like I really know my materials and my craft and I'm excited to share it with you. I LOVE old dishes. 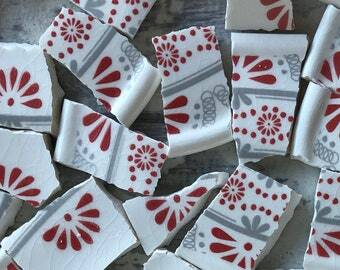 I have practiced the art of making mosaics from old dishes for many years. I hand-cut each piece and arrange them in one of kind designs and I enjoy the challenge of using the imperfect to make something new and beautiful. I am human, but I will try to be super-human for you. Ideally, every transaction will go smoothly, but realistically problems do happen. Always convo me if something goes wrong so I can make it right if possible. I rarely have losses or breakages and will work out situations on a case by case basis to your satisfaction. Always convo me before leaving feedback. If the item does not fit, isn't what you imagined, or you just plain change your mind, you are responsible for the cost of return shipping, so be sure to check measurements carefully BEFORE purchasing. No refund is available on an item that is returned to me damaged. Returns must be set up within ONE WEEK of your receiving your item. I cannot refund after this time frame since by then, I have used the money to buy gas and groceries, so be sure to check your packages promptly and convo immediately about any problems. I prefer immediate Paypal but can also accept money orders in the US only. I will accept layaway payments and arrange reservations. Please inquire. I reserve the right to cancel a reserve after five days with no communication. Parcel Post and First Class is available on large and international orders. Shipping overages on orders of TWO or more items are refunded. (It's is usually a shipping bargain to buy more than one item!) Shipping cost covers both shipping and handling. I pay any shipping costs that exceed my stated price. Insurance is available on US shipments upon request and is automatically added to items over 50 dollars in value in the US (orders that total 50 dollars or more, not the combination of item and shipping). Insurance is not available on international orders. 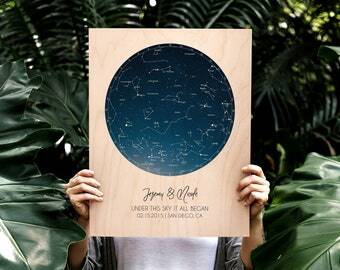 Can I request a different shipping method (ie. expedited, first class, etc.)? Yes, but some handling charges may apply.